WASHINGTON — Although Maryland will not elect its next senator until November 2016, the party primaries are only 230 days away on April 26. Since incumbent Maryland Democratic Sen. Barbara Mikulski announced her retirement plans in March, the primary is shaping up to be a clash between two of the state’s best-known politicians, though four lesser-knowns have filed. On Tuesday, Rep. Donna Edwards, who represents Maryland’s 4th District, took another important step in her campaign, filing her certificate of candidacy, and officially placing her name on the ballot as a candidate for the U.S. Senate. Rep. Chris Van Hollen, who represents Maryland’s 8th District, was the first to announce his candidacy, just days after Mikulski made her retirement plans public. Both candidates filed their statements of candidacy with the Federal Election Commission in March, but Edwards is the first to file her certificate of candidacy with the state of Maryland, which is not required until February. While both candidates have received numerous endorsements, ranging from politicians and groups on the local level to organizations and politicians on the federal level, the gap in fundraising between Van Hollen and Edwards is wide so far. In their first full quarter of fundraising, a period spanning the beginning of April to the end of June, Van Hollen outraised Edwards by a ratio of more than 4-to-1, according to a CNS analysis of the candidates’ fundraising reports filed with the FEC. By the end of June, Van Hollen’s campaign has already raised more than $4.2 million, while Edwards’ campaign has raised just shy of $1 million. Both campaigns have spent almost $500,000 on items such as renting office space, advertising, and consulting, leaving Van Hollen with a nearly 9-to-1 advantage in cash on hand over Edwards. One of the major differences in fundraising between the two campaigns stems from where the candidates are getting their money. 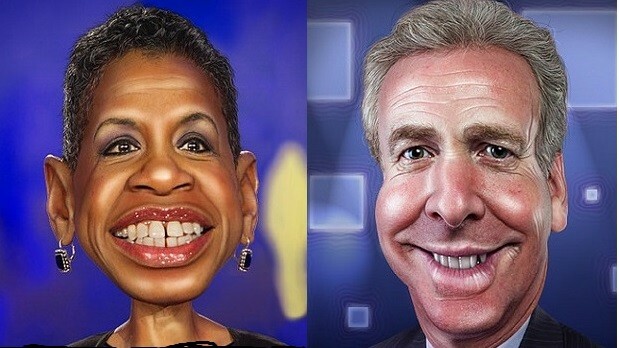 According to FEC records, nearly 70 percent of Van Hollen’s funds have come from Maryland contributions, while only 19 percent of Edwards’ donations have come from in-state donors. Almost $1.7 million of Van Hollen’s current campaign funds came from the Van Hollen for Congress Committee, signaling that Van Hollen had a substantial fundraising head start over Edwards. Only $9,000 of Edwards’ $918,000 came from her House campaign fund. The next reporting period closes Sept. 30. Although it is early in the race, Edwards has a large financial gap to close. Four other lesser-known Democrats have already filed the paperwork for the seat along with the $290 filing fee. They include perennial candidates Ralph Jaffe of Baltimore County and Lih Young of Montgomery County; Ed Tinus of Worcester County; and Violet Staley of Prince George’s County. Richard Douglas of Prince George’s County, who ran in 2012, and Anthony Seda of Harford County have filed on the Republican side. MarylandReporter.com contributed to this story.